I started working on UI Sources sometime in June, started adding content in July and did a soft launch sometime mid July. 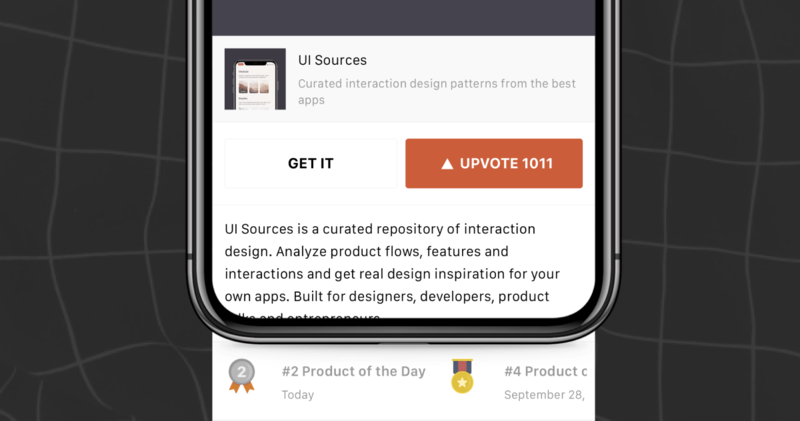 After circulating the link to friends and designers I know and tweaking based on early feedback, I did a ProductHunt launch on July 30th. Hereâ€™s a breakdown of my core metrics for August with transparent numbers. For other makers: Iâ€™ve learned a lot from people whoâ€™ve chosen to publicly document their journey of building products. Some makers who've inspired me to do this are Pieter from Nomadlist, Joel from Buffer, Keyul from QuickCode and Nav from LazyEight. Building good products is usually a mix of having a good idea, iterating on it over time and trying new avenues of distribution. By talking about what's working for me, I can hope to eventually help a few people figure this out for themselves. 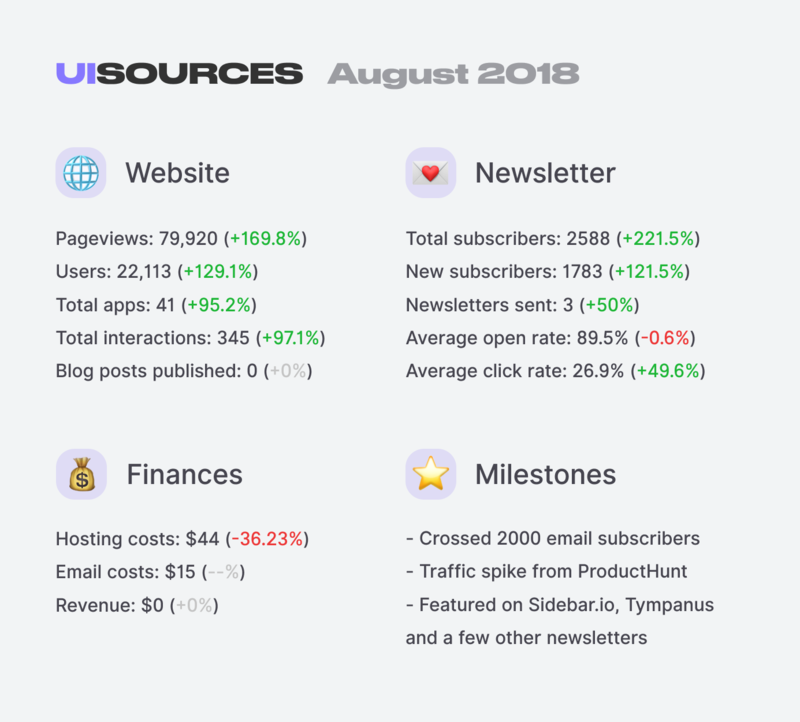 â€�For myself: Publishing the core metrics month-over-month would probably keep me accountable for consistently publishing content on the site. Itâ€™s also a great way to create content while documenting my progress. It would be amazing to visualize progress over time and to see what the pivotal moments of growth were. For my users: Startup founders normally share month on month metrics with their investors and board of directors. However as a side project, the best way to get feedback is on how I'm doing is directly from users. By sharing my numbers, I want to involve them in the process to figure out how I can be as useful as possible. 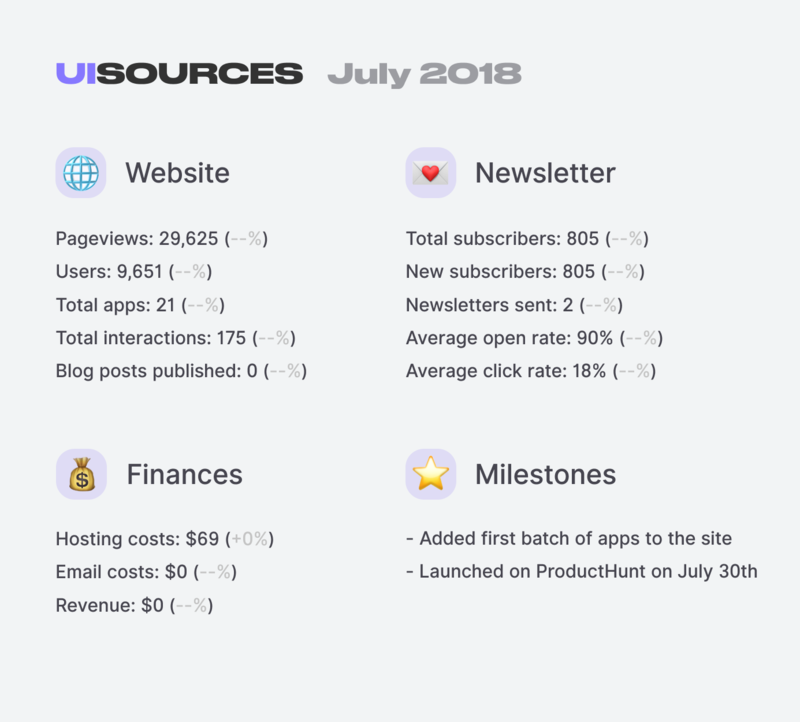 I'm including July in this post because other than the ProductHunt launch on July 30th, the rest of the month was pretty flat. Most of these numbers only changed on the last day of the month. Despite launching on ProductHunt on July 30th, most of the traffic and sign ups followed in the days after it. 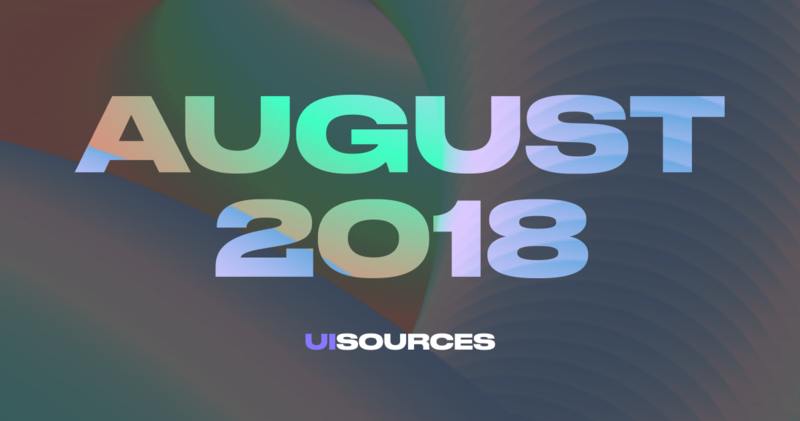 Page views and Users saw a huge jump as design sites and newsletters featured UI Sources. People shared the site on social media and I'm assuming it also spread through word of mouth among design teams. My email open rate is super high, at nearly ninety percent. This is because my email provider, Buttondown automatically sends the latest email to subscribers that sign up. As a result most of the people that signed up through ProductHunt or other sites immediately got an email that they ended up opening. The average click rate for emails jumped nearly fifty percent for two reasons: Firstly because I made a beautiful looking HTML template for the emails that showed the apps of the week in a nicer way (here's a before and after). Secondly, there wasn't much to click in the emails I sent in July. I downgraded my Webflow hosting from Business to Basic because I realised that I was good with Basic till the site grew much more. I also broke through Buttondown's free tier of 1000 subscribers. I have no plans for monetization yet but I've included Revenue here to remind myself to figure something out as the operating costs increase. Are there any other metrics you think I should include in my monthly reviews? Any questions or suggestions on how I could be doing better? 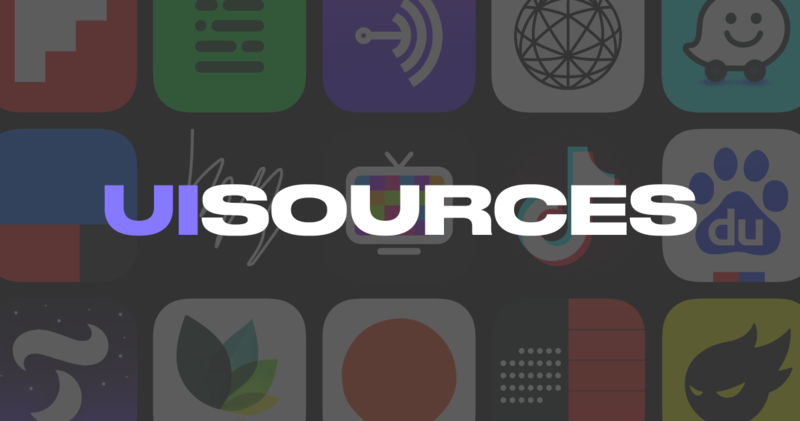 Drop me a tweet at @abnux or send me an email at uisources@abhinavc.com, I'd love to hear from you!